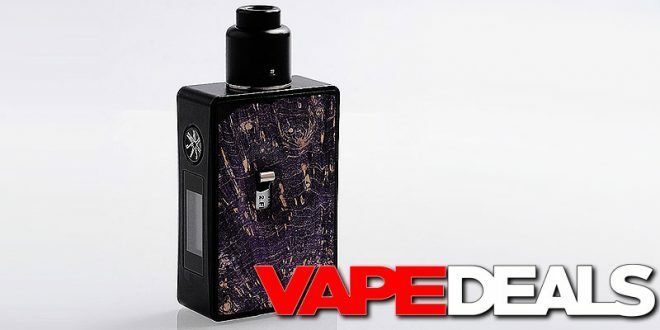 Here’s your chance to pick up a stabilized wood squonker and an RDA for $53.99…with FREE shipping! 3fvape just did another price drop on the Asmodus Spruzza 80w Squonk Kit. The purple, red, and green colorways are now selling for $53.99, and the 3 Mosaic versions are $59.99. Sounds like a great deal either way. Some vendors are still charging $130+ for this kit! Just remember that these are stab wood devices, so the one you receive will not look exactly like the one pictured. That probably goes without saying, but it’s always worth mentioning.